Shaun King (NY DAILY NEWS) reports Chris Matthews declared on MSNBC Tuesday that the networks plan to call the race for Hillary at 5:00 pm EST on June 7th (when I'll be voting, California holds its primary that day). This would be a clear effort to suppress the vote. But since Hillary Clinton benefits, David Brock and his zombies won't object or call it out. They'll be giddy with delight. 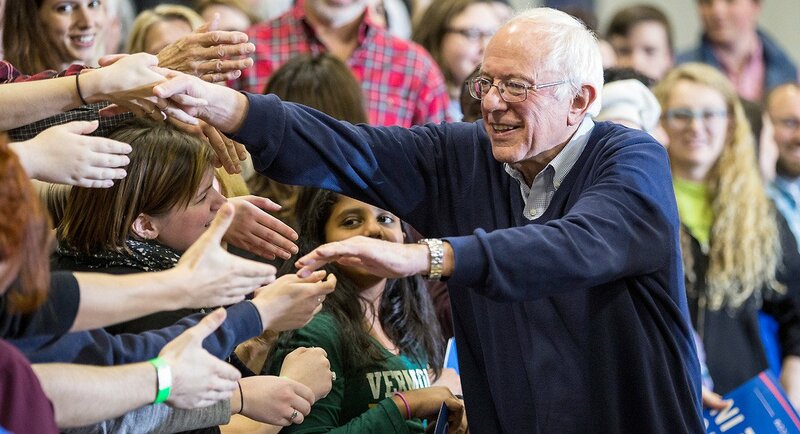 Bernie could win in November. Hillary's a big question mark. You'd think that would matter. Wednesday, May 25, 2016. Chaos and violence continue, the US government has no diplomacy to share apparently, Father Louis Sako makes a surprising announcement, the State Dept press corps has no interest in Iraq, and much more. At a time when the only answer or 'answer' some can see in Iraq is weapons and more weapons, a surprising twist emerges. As calls for the US government to arm every group in Iraq, Sameul Smith (CHRISTIAN POST) reports Father Louis Sako, the patriarch of the Chaldean Church in Iraq, is stating do not send arms to what have been termed "Christian militias." The priest explains, "There are no 'Christian militias,' but only politicized groups and simple people who are in desperate need of a salary. The remaining Christians in Iraq are only the poor and those belonging to the middle class, and among them, there are 100,000 displaced people." Instead, the priest states, any arms should go to the Kurdish military to protect Christians in Nineveh Province. Today, the US State Dept did their third press briefing of the week. And, in a sign of how the US government and the press are forever entwined in a whorish embrace, for the third day in a row, not one reporter present had a single question about Iraq. Sunday, the assault on Falluja began. And yet not one reporter covering the State Dept asked a question about Iraq on Monday. Remember, prostitution isn't solo masturbation -- it requires at least two people -- as the press and State Dept spokesperson Mark Toner have demonstrated for three days in a row. It's a sign of the failure of the White House and the State Dept -- the continued failure -- that they refuse to pursue political options in Iraq. His friend was Lt. Col. Ehab Hashem Moshen. Jake Tapper: So you blame the Obama administration's failed ISIS policy of the death of your Iraqi comrade who you describe as "your closest friend." Why? Jake Tapper: And what needs to change, sir? US House Rep Seth Moulton: We need to have a clear mission for the troops, a clear end game, a clear goal that they can achieve and than a strategy to maintain the peace once we defeat this terrorist group because, look, we already fought these same battles against al Qaeda but then when we pulled out of Iraq so quickly and not just pulling out the troops, I'm talking about pulling out the diplomats. I'm talking about the people that were working in the prime minister's office, in the ministries. The Iraqi government just went off the rails and as a result created this political vacuum that ISIS came in to occupy. We cannot keep repeating this mistake in Iraq, going back again and again. Jake Tapper: Now there are more than 4,000 US personnel, US military personnel, in Iraq right now but the White House argues this is not a combat mission. Do you think that the Obama administration is misleading the American public. US House Rep Seth Moulton: That's just simply not true, this absolutely is a combat mission. In 2004, I had an advisory mission as a Marine with my platoon in Iraq. 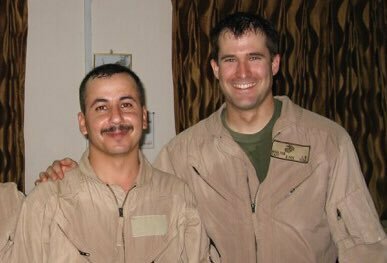 We were advisors to an Iraqi unit and when that unit started to get overrun, we went to their assistance and started the battle of Najaf which was some of the fiercest fighting of the war until that time. So there's a very fine line between an advisory mission and full fledged combat. It's very clear from the death of the Navy Seal just last week that this is absolutely a combat mission. Jake Tapper: Why do you think the White House is-is pursuing the strategy that they're pursuing -- calling it an advisory mission, not a combat mission? Not pursuing the line of attack that you're suggesting they need to -- in terms of the clear strategy with an end game? Why? US House Rep Seth Moulton: I don't know. I mean, some would say that this is trying to do war on the cheap just like the Bush administration when they got us involved in in the first place. Let's not forget that we wouldn't be involved in this mess at all if George Bush hadn't invaded Iraq with faulty intelligence back in 2003. But this a president who promised to get us out of Iraq and promised to use the tools of diplomacy to prevent wars from happening -- and that just hasn't happened. You know if you think about what happened when ISIS swept into Iraq from Syria, they didn't just defeat the Iraqi army. The Iraqi army put their weapons down and went home because they had lost faith in their government. And yet our solution, our strategy, is to train Iraqi troops. Well you don't fix Iraqi politics by training Iraqi troops. And Iraqi politics are broken. That's the fundamental problem in Iraq that we need to fix. "I think the problem is the president just wants to be out of Iraq," said Moulton. "I understand why he feels that way. A lot of Americans feel that way." But, he said, America needs more than short-term military force to keep order. It needs to help Iraqis sustain a stable government, and with it, the hope of long-term peace. To that end, Moulton authored an amendment to the 2016 National Defense Authorization Act that would require the administration to submit reports on its political and military strategies to defeat ISIS. It was passed by the House Armed Services Committee, on which he serves, and the Foreign Affairs Committee, and according to Moulton, there's "a high probability" it will be voted on soon. The State Dept posted weekly reports on Iraq when Bully Boy Bush occupied the White House. It continued briefly once Barack Obama became president. Maybe the press should be writing about why these reports stopped during Hillary Clinton's tenure as Secretary of State? And then maybe the press should ask where the diplomatic efforts are? We've seen the military efforts repeatedly. Where are the diplomatic efforts? All this time later, where are they? US President Barack Obama: Above all, Iraqi leaders must rise above their differences and come together around a political plan for Iraq’s future. Shia, Sunni, Kurds -- all Iraqis -- must have confidence that they can advance their interests and aspirations through the political process rather than through violence. National unity meetings have to go forward to build consensus across Iraq’s different communities. Now that the results of Iraq’s recent election has been certified, a new parliament should convene as soon as possible. The formation of a new government will be an opportunity to begin a genuine dialogue and forge a government that represents the legitimate interests of all Iraqis. Now, it’s not the place for the United States to choose Iraq’s leaders. It is clear, though, that only leaders that can govern with an inclusive agenda are going to be able to truly bring the Iraqi people together and help them through this crisis. Meanwhile, the United States will not pursue military options that support one sect inside of Iraq at the expense of another. There’s no military solution inside of Iraq, certainly not one that is led by the United States. But there is an urgent need for an inclusive political process, a more capable Iraqi security force, and counterterrorism efforts that deny groups like ISIL a safe haven. Nothing has happened on the political front. The Cabinet issue is a smoke screen. Whether Haider al-Abadi gets a new Cabinet or not has nothing to do with improving the issue of inclusion (it might, in fact, harm inclusion by doing away with quotas). The White House is in bed with Haider the same way it was with Nouri al-Maliki. Just as Barack tolerated Nouri al-Maliki killing Iraqi civilians -- most infamously in the Hawija massacre -- Haider will be tolerated as well. Instead of investing in the process, the White House invests in the person and we've already seen with Nouri al-Maliki (former prime minister and forever thug) that this approach accomplishes nothing. From 2006 through 2014, the US government backed (the US-installed Nouri) and nothing was accomplished. As early as 2007, Nouri signed off on the White House benchmarks for success that included national reconciliation. These were 'measures' that Congress would use to determine whether or not to cut off funding -- allegedly use. There was never any national reconciliation. In fact, each year Nouri continued as prime minister, the targeting of Sunnis only worsened. Has the US government learned anything? Here's State Dept spokesperson John Kirby from Thursday of last week, "What we are going to do is continue to support the Iraqi Government -- the central government in Baghdad -- as it, under Prime Minister Abadi's leadership, continues to make the reforms they know they need to make to move Iraq forward. And some of those include, obviously, the security sector, and so we’re going to remain committed to our mission of trying to improve the competency and capability of the Iraqi Security Forces." There are no conditions on Haider, he just keeps muddling through, doing nothing and getting US dollars, US troops and US weapons. Persistent bombings in Shia neighbourhoods of Baghdad and latterly the use of force by security forces will fuel anger at the government, triggering further violent protests. The prospect of further Islamic State bombings, together with violent Shia protests will provide the pretext for Shia militias to consolidate their presence on the streets and by default take control of neighbourhoods' security from the state. Is Barack attempting to bring peace to Iraq or just to continue the ongoing, never-ending war? Meanwhile, there is one view the western media keeps thumping the war drums on -- Lucky Falluja, being liberated! That's not the view of all. You may agree with that view, you may not. But you should be aware of it. You should also be aware that one of the biggest topics on Arabic social media is the way certain Iraqi sites are being targeted and denied service. Views are being suppressed and truth is being suppressed. -- Near Baghdadi, a strike destroyed an ISIL mortar position. -- Near Beiji, a strike struck an ISIL tactical unit and destroyed an ISIL mortar system. -- Near Fallujah, three strikes struck an ISIL tactical unit and destroyed an ISIL vehicle and an ISIL front end loader. -- Near Habbaniyah, three strikes destroyed an ISIL fighting position, four ISIL weapons caches and an ISIL tunnel and suppressed an ISIL mortar position. -- Near Kisik, a strike destroyed an ISIL fighting position and an ISIL heavy machine gun. -- Near Mosul, three strikes struck two separate ISIL tactical units; destroyed an ISIL fighting position, an ISIL vehicle, three ISIL assembly areas, three ISIL bed-down locations, and an ISIL tunnel; and suppressed an ISIL mortar position. -- Near Qayyarah, a strike destroyed two ISIL mortar systems.